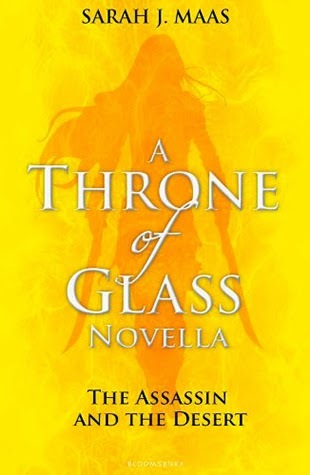 The Assassin and the Desert is the second of the Throne of Glass prequel novellas and it will come as no surprise to anyone that I loved this one too. In fact, I think I enjoyed it even more than the first novella! This story adds even further depth to Celaena's already impressive back story by exploring a time where she was she was shown a better way of living - as an assassin that is. I adored the setting and the new characters introduced in The Assassin and the Desert and I'm already eager to move on to the next novella! In this adventure, Celeana travels to the distant Red Desert to train with a group of Silent Assassins who live in commune there. Her reasons for traveling there are a direct result of the events that unfolded in the first novella and I loved the continuity at play here: it makes the novellas read more like four smaller adventures taking place within the same larger story arc. Once Celaena is taken in by these assassins, she is given one month to impress the Master - the leader of the Silent Assassins, and convince him to train her personally. As she begins to know the ways of these desert-dwelling assassins, she is soon forced to choose between friends and defending the assassins from a menacing threat. Have I mentioned how much I LOVE desert settings for stories?! There's just something about the exoticness of it, coupled with the drastic climates that makes the whole idea of having an adventure there both wildly dangerous and mysteriously alluring. Anyways, coming off the heels of Celaena's previous run in with pirates just felt all kinds of right. In fact, it was pretty perfect. The Silent Assassins were an awesome addition as well, especially in this setting; it seemed to give them an added mystique! I enjoyed how they all lived together and seemed like a genuine family - despite their line of work. The Master was a favorite of mine though, I wish he and Celaena would have had even more time together. He was wise and serene in a way that's hard to put into words...but I loved him! The Master taught Celaena was brilliant as well; I loved how all his lessons clicked into place at the end there. It's clear that his techniques stay with Celaena from that point on. The Assassin and the Desert was another winning offering by Sarah J. Maas, who at this point, never ceases to amaze me. 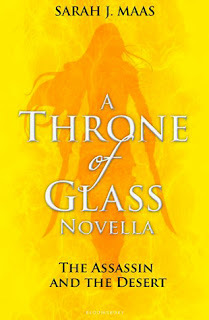 The combination of the setting and the way the story delved further into Celaena as the main character was superb - there was a lot of foreshadowing of things to come further in the ToG series so I definitely recommend this one to fans of the series!